In order to get inside their skin, I have to identify with them. 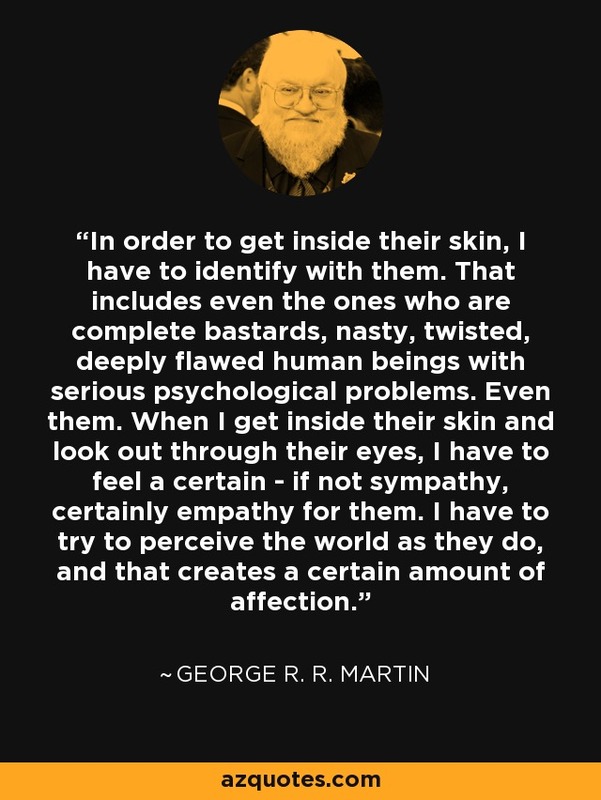 That includes even the ones who are complete bastards, nasty, twisted, deeply flawed human beings with serious psychological problems. Even them. When I get inside their skin and look out through their eyes, I have to feel a certain - if not sympathy, certainly empathy for them. I have to try to perceive the world as they do, and that creates a certain amount of affection.